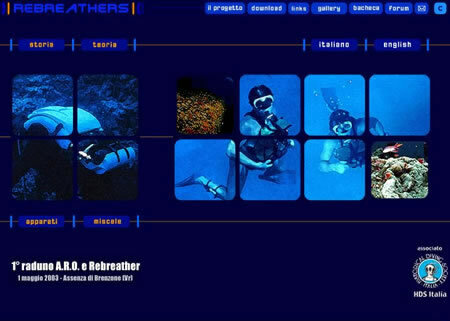 A vortal dedicated to diving with rebreathers, advanced equipment for breathing underwater. The creative concept of the site was created innovative idea to create a portal full of information and emotions. The implementation followed the track design and ideational combining images to involve sea lovers.